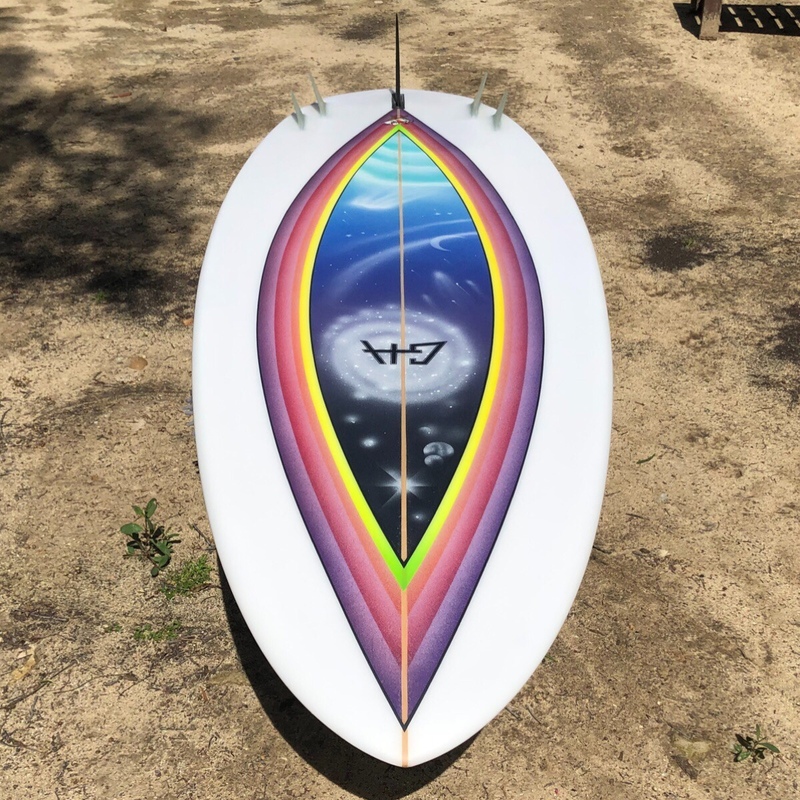 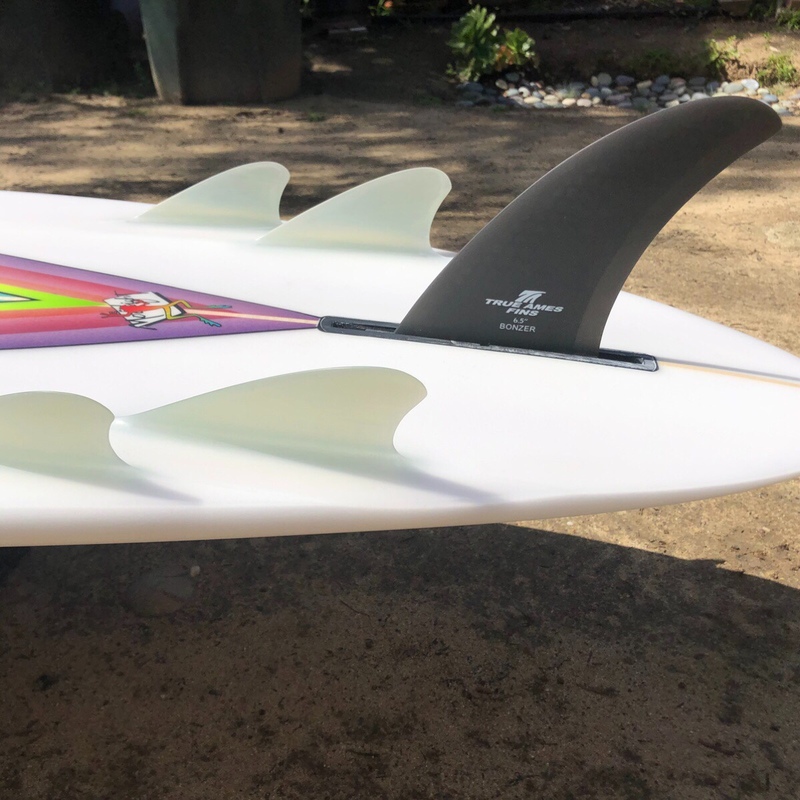 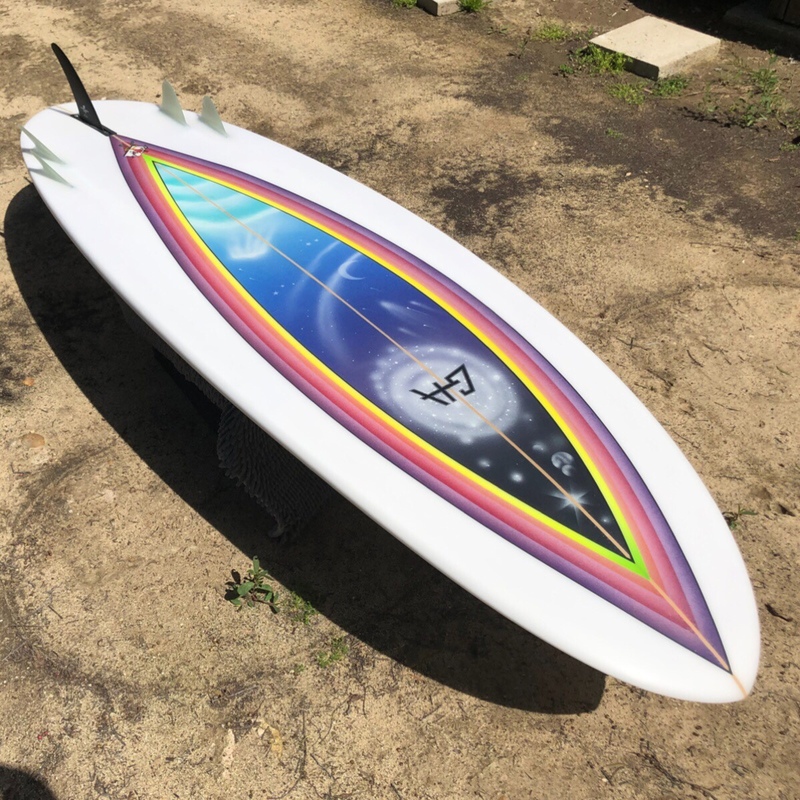 Campbell Brothers 5 fin Bonzer Mini-Merk model. 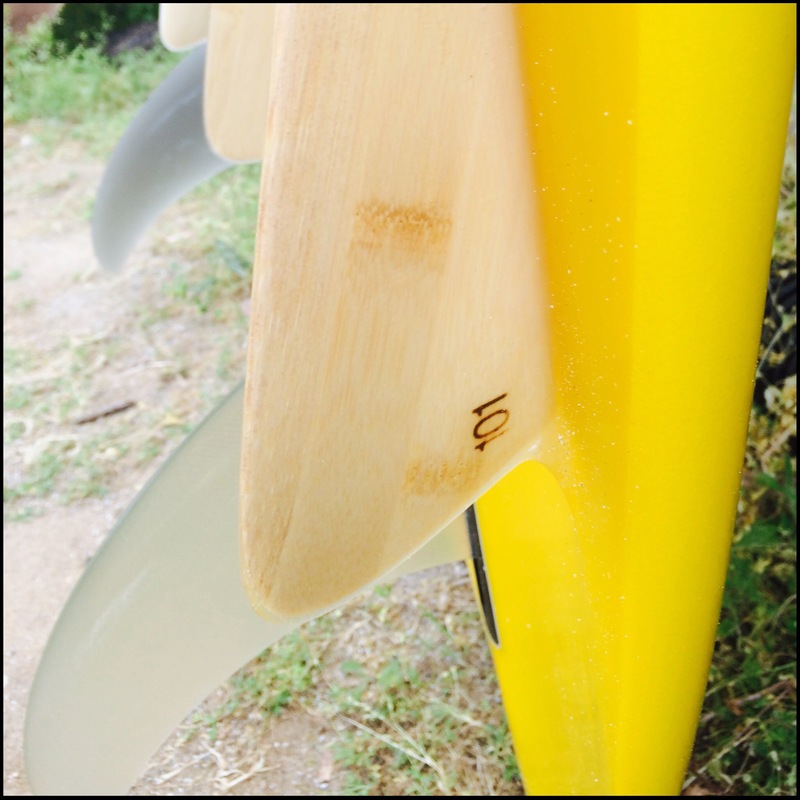 4oz s-cloth resin tint. 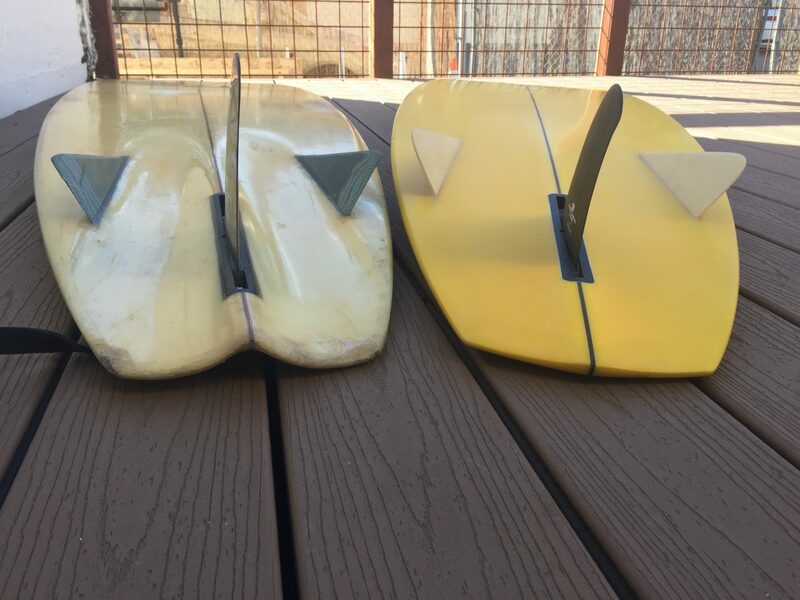 Wetsanded gloss. 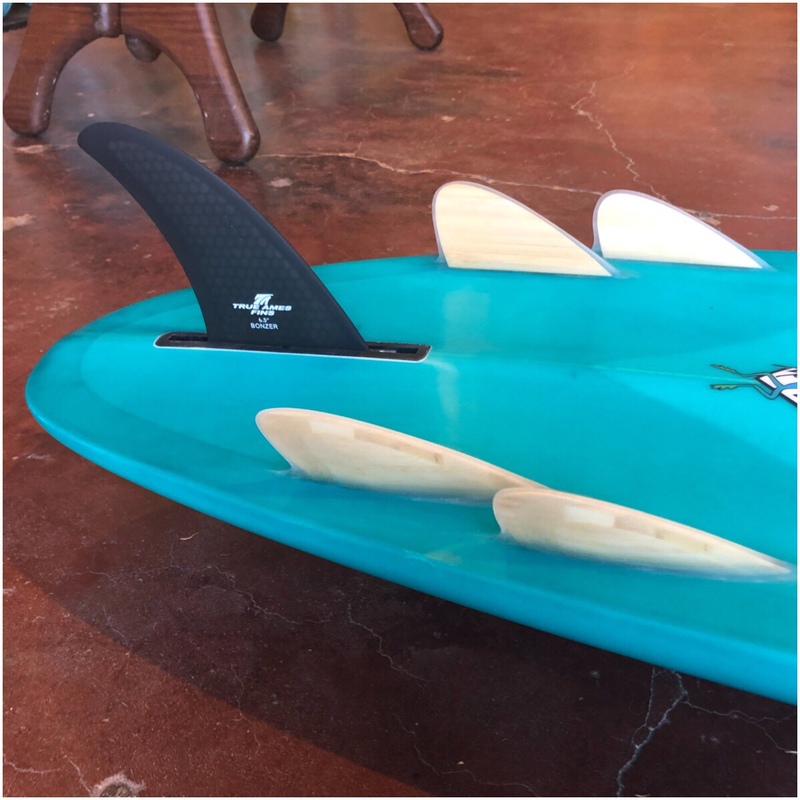 Bamboo glass-on side fins. 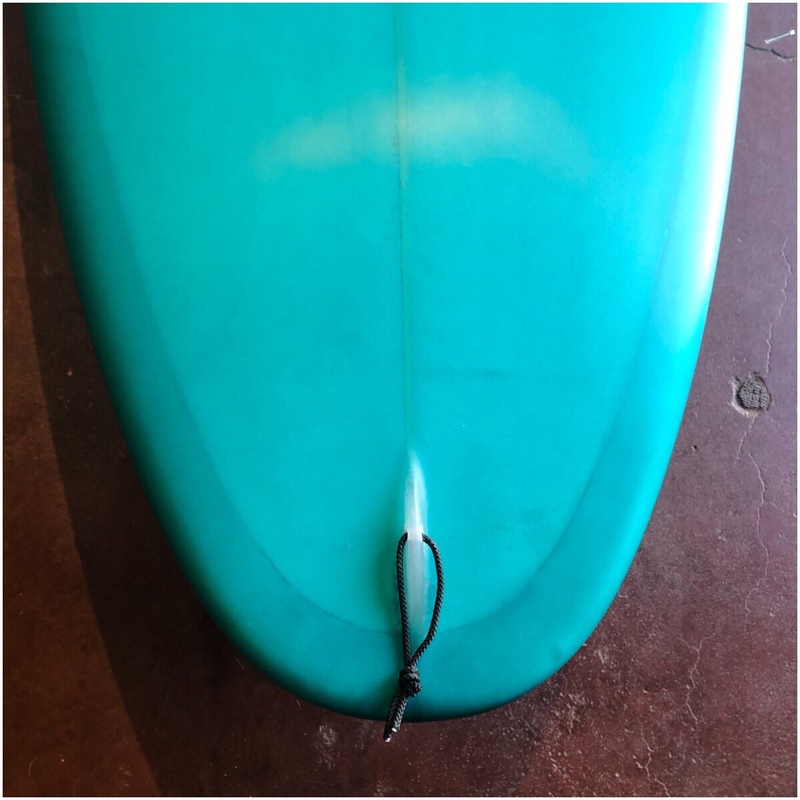 Resin lease loop. 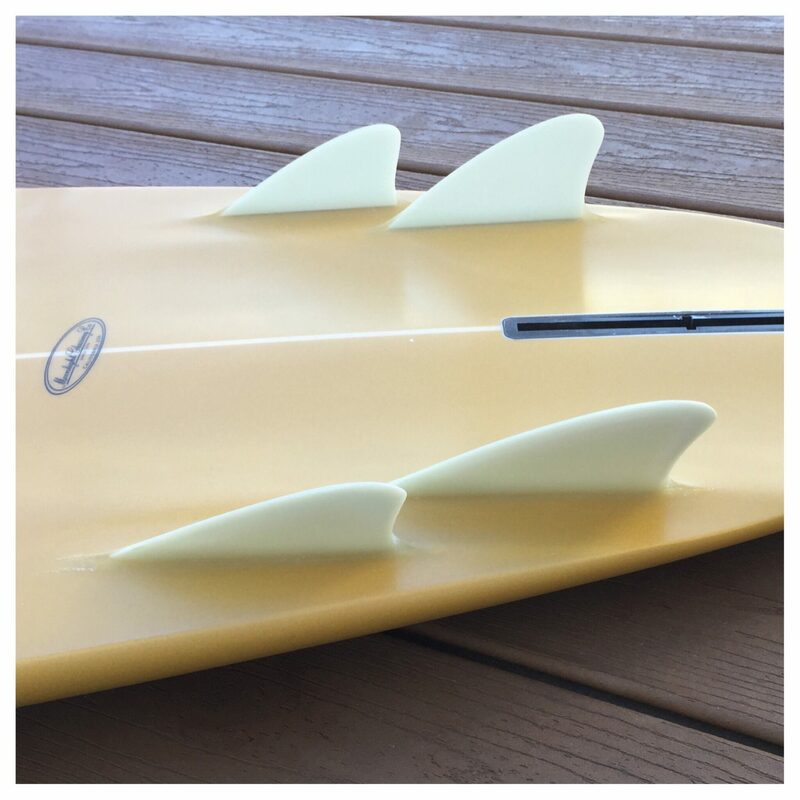 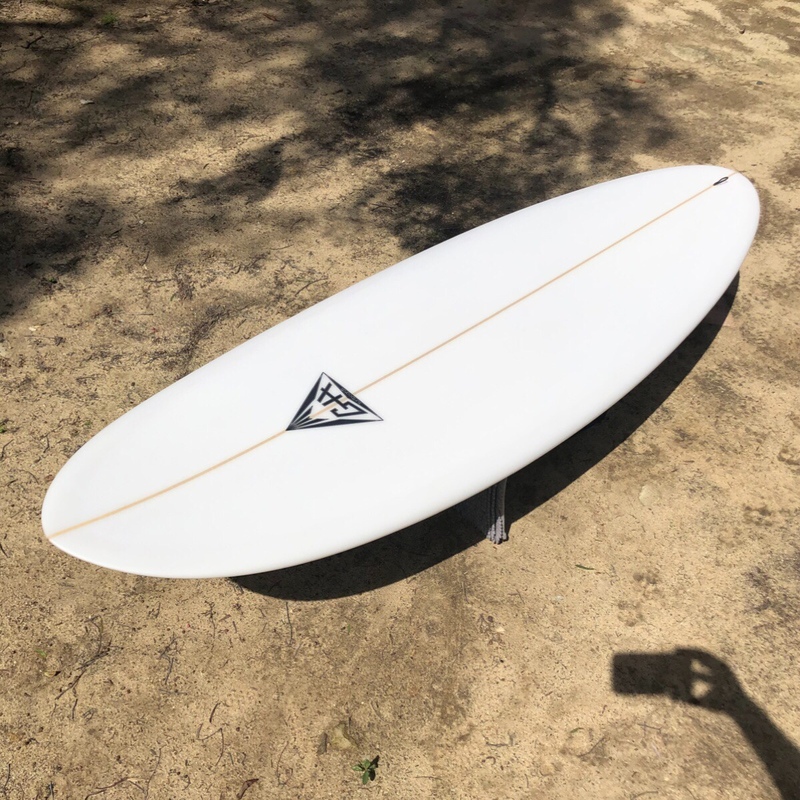 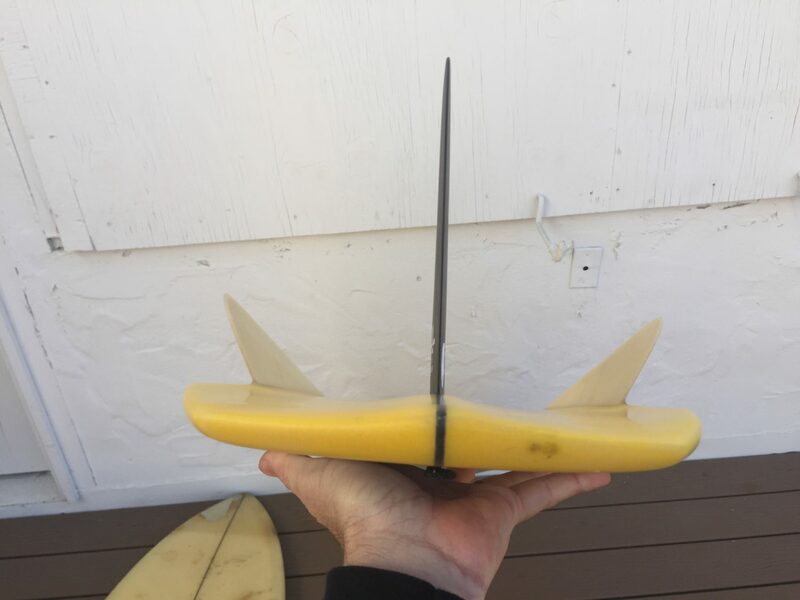 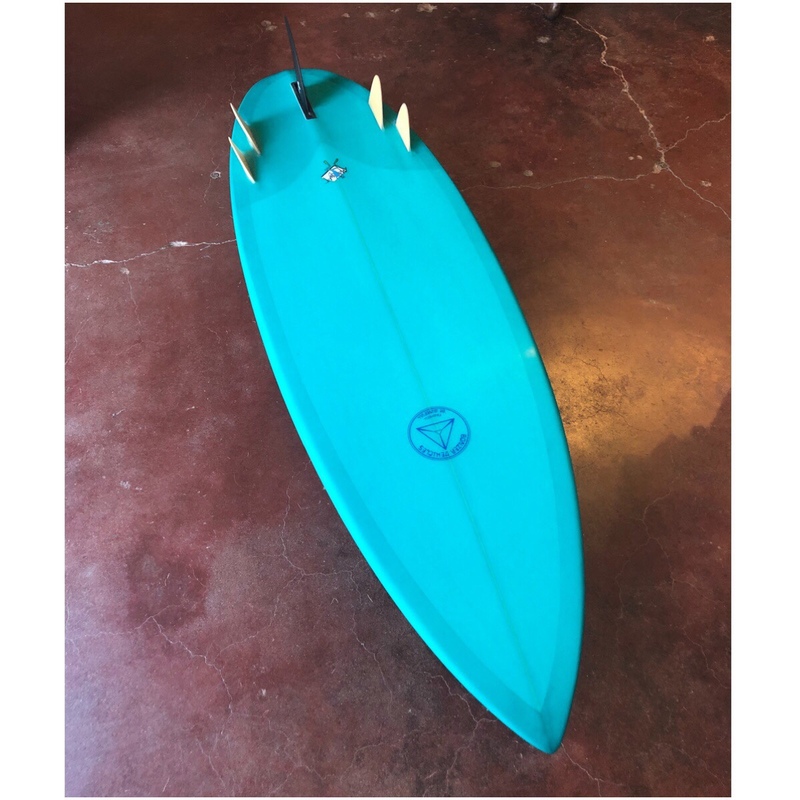 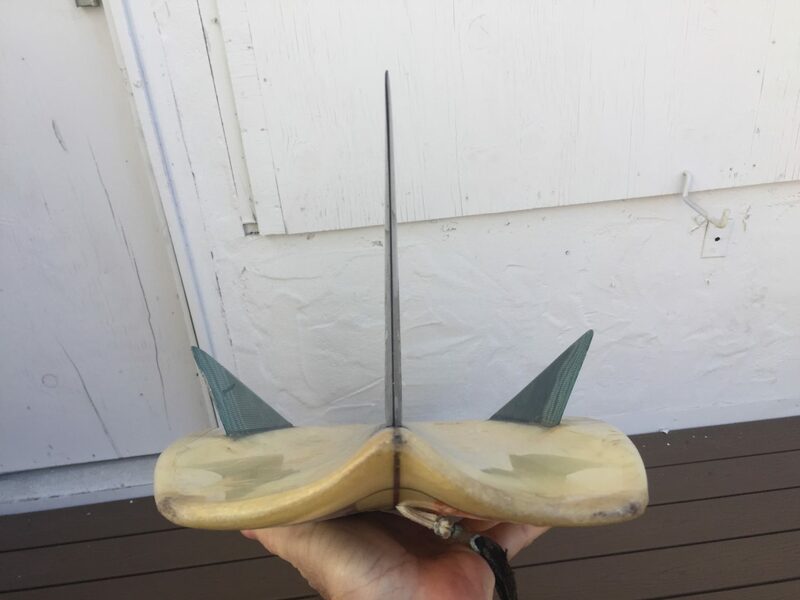 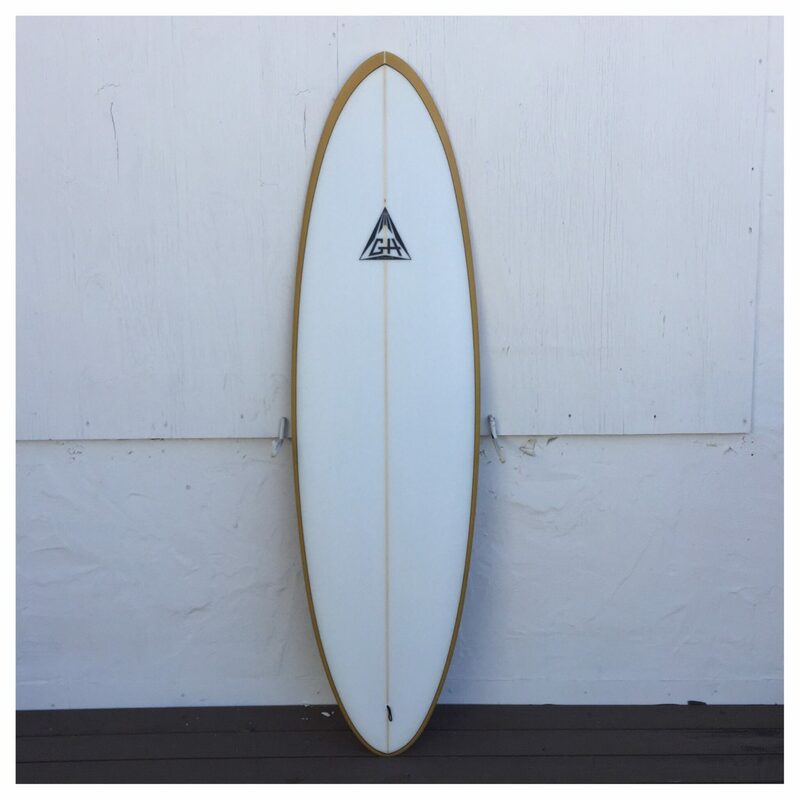 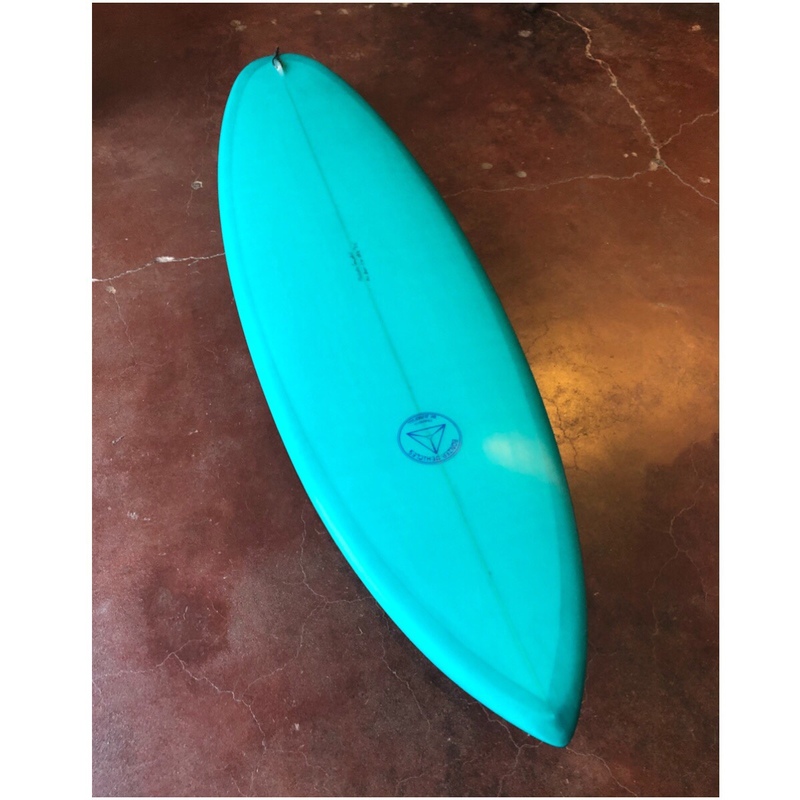 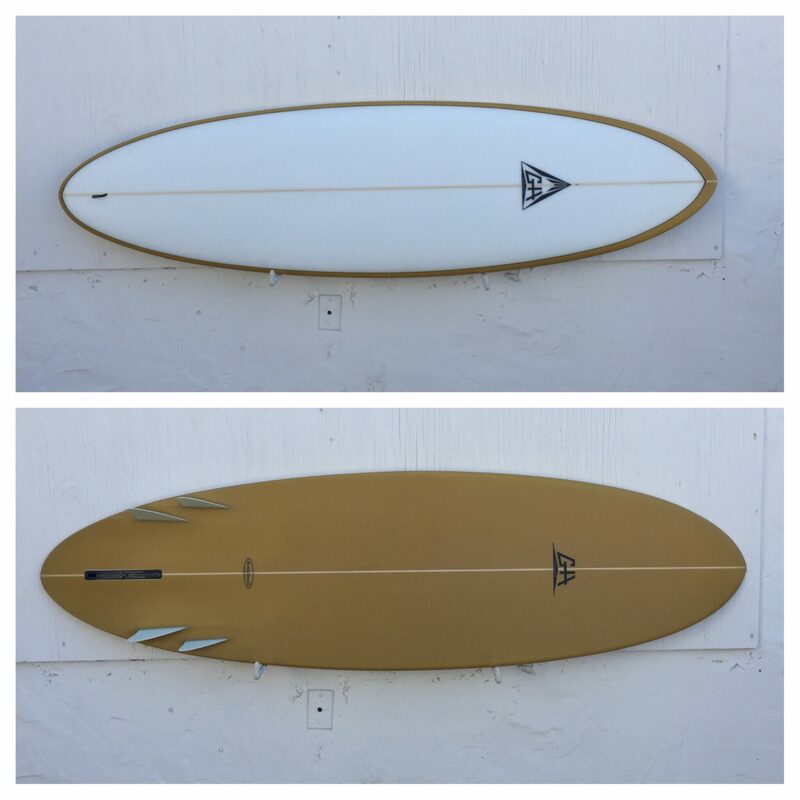 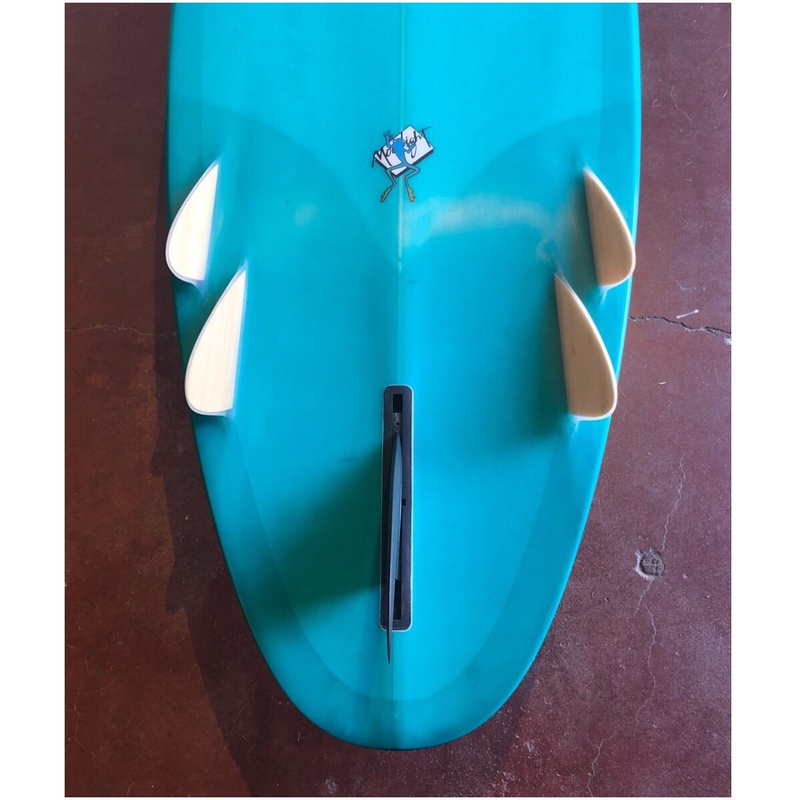 True Ames 6.5″ Hexcore center Bonzer fin. 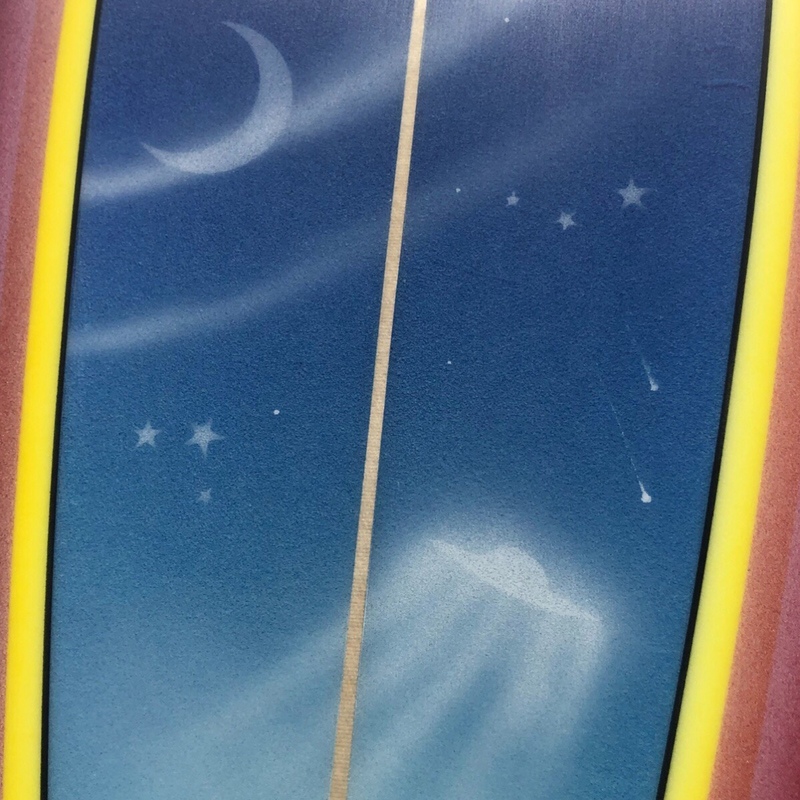 1980’s Moonlight Glassing Moon Frog logo. 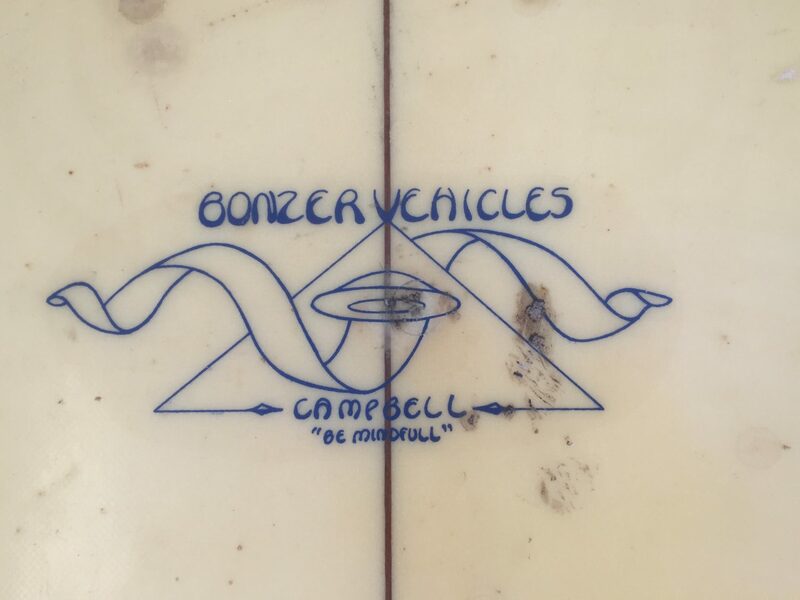 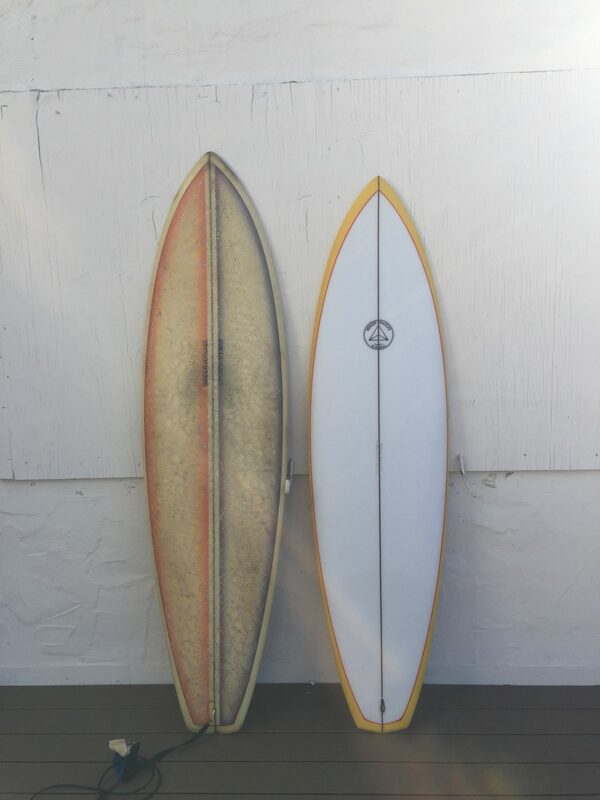 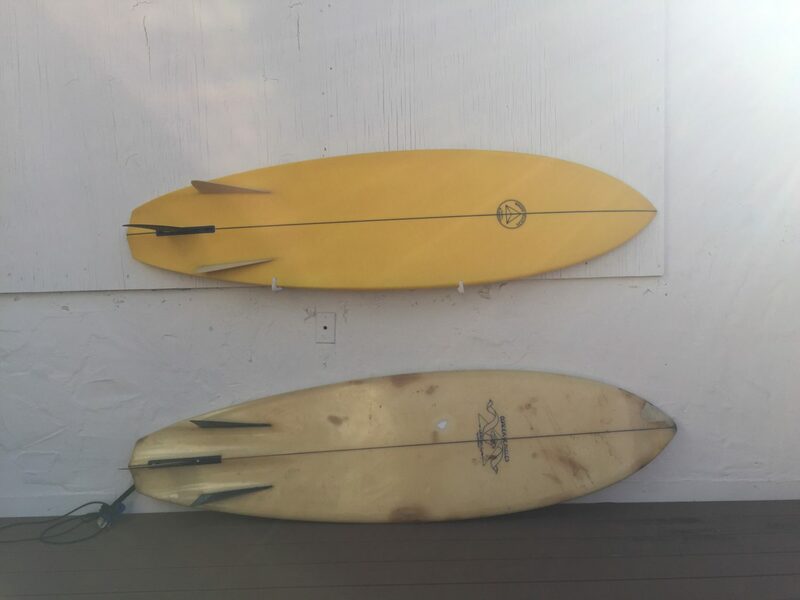 We gots a trio of Campbell Brothers Bonzer3 Russ Short models for sale at the shop. 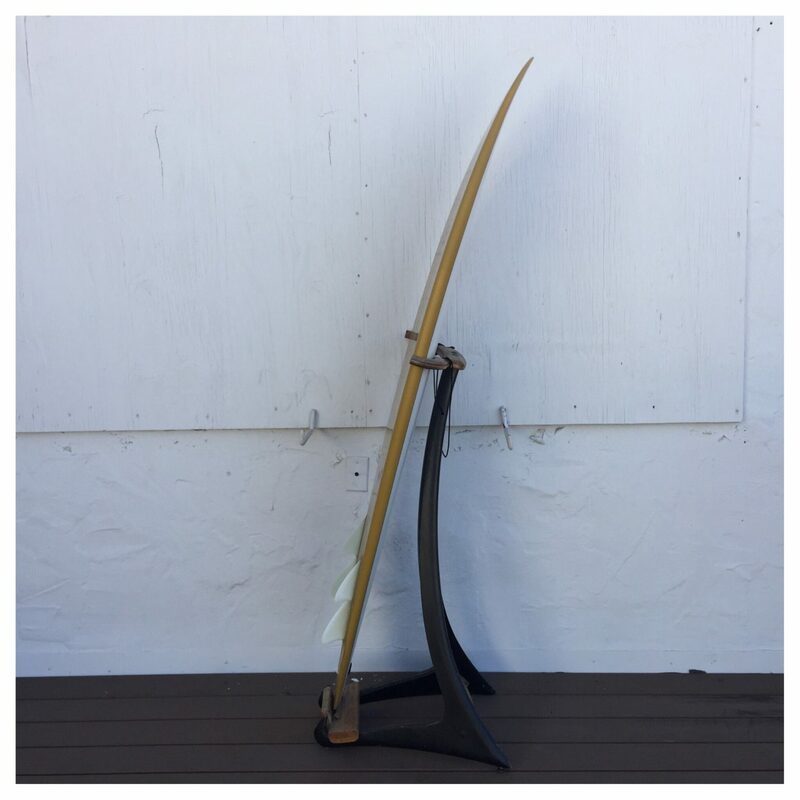 *note bamboo siderunners. 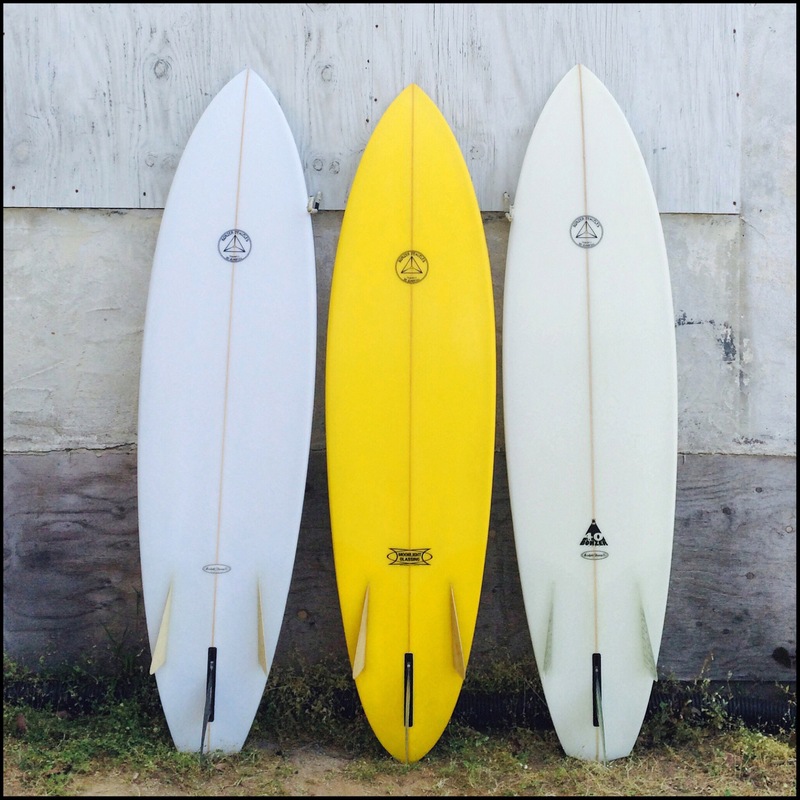 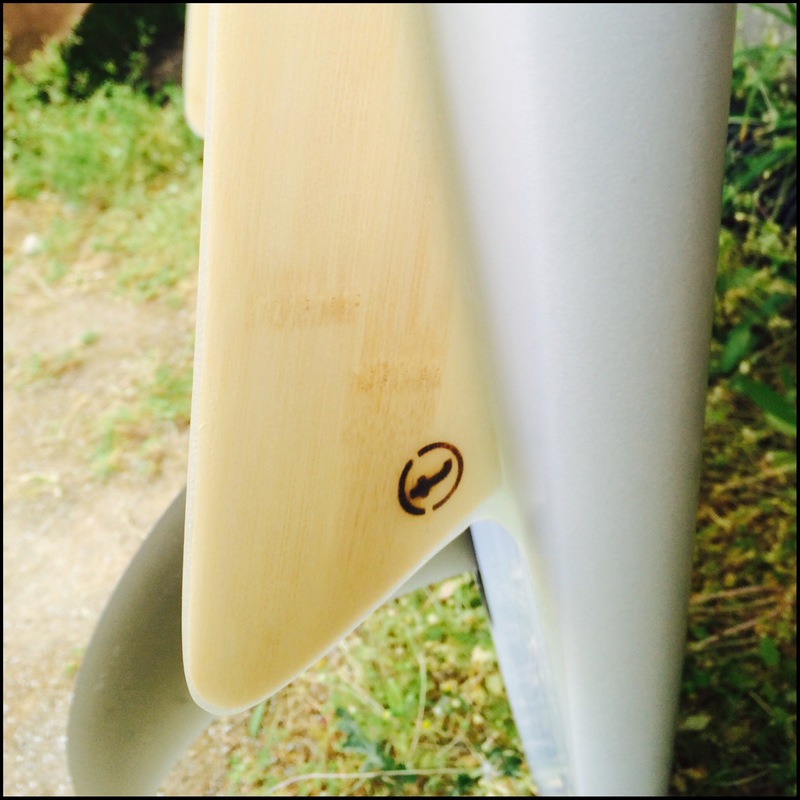 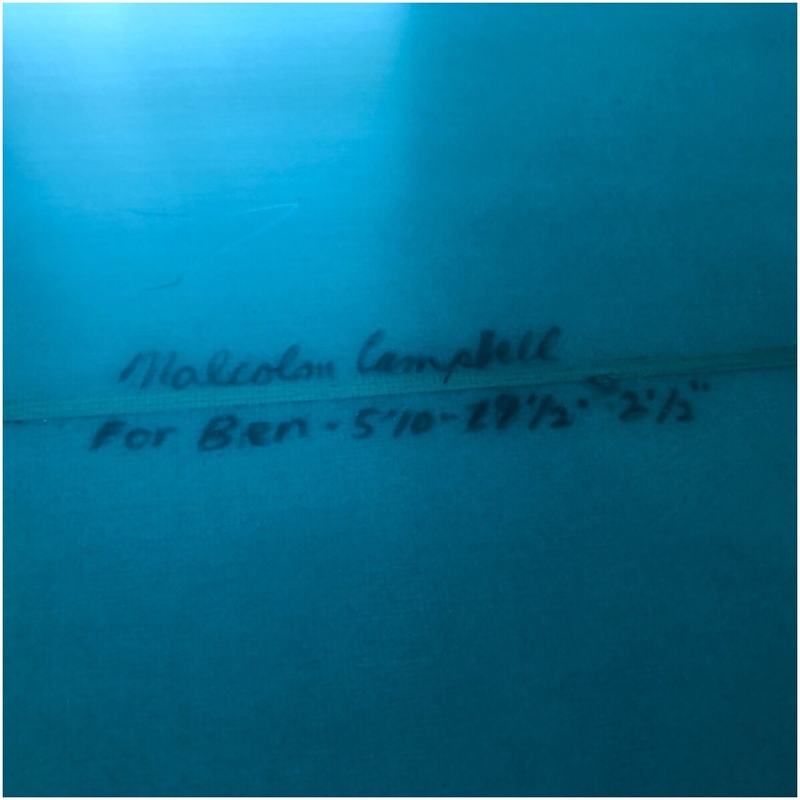 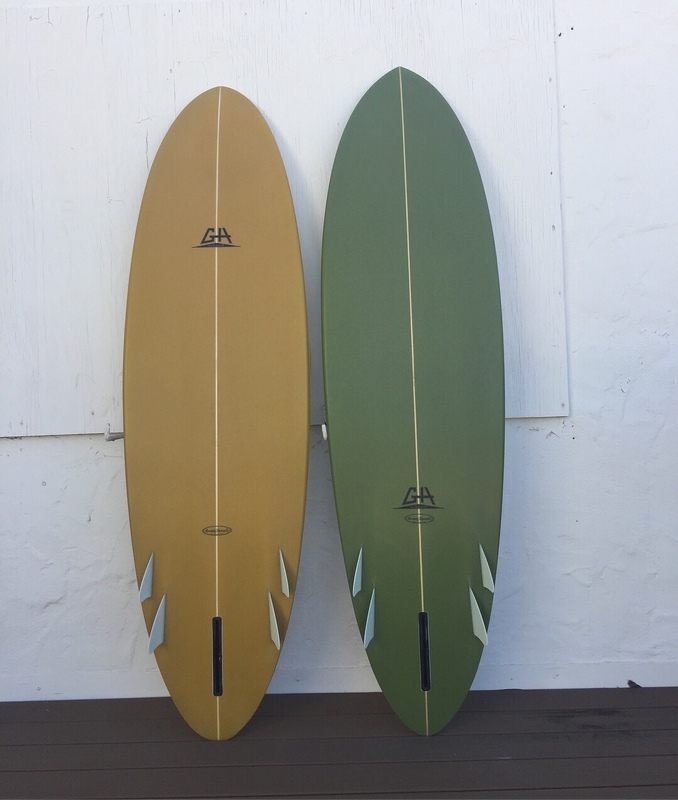 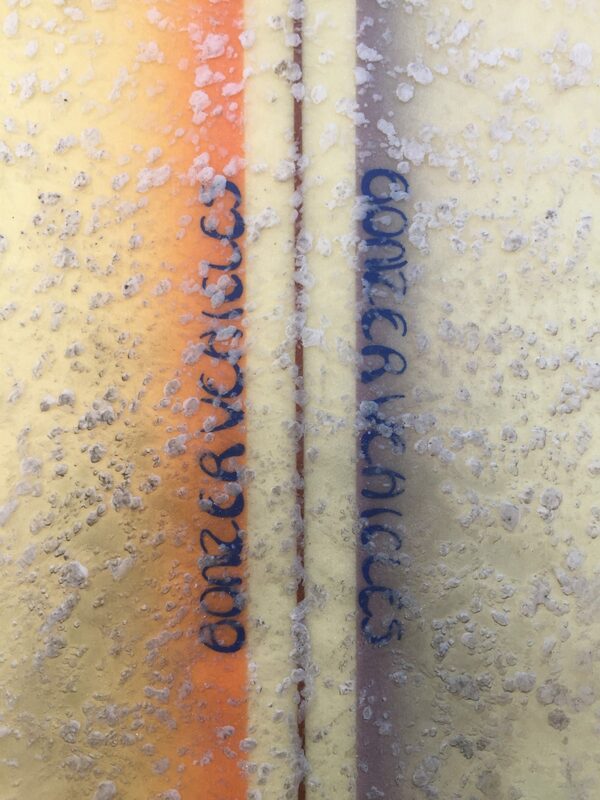 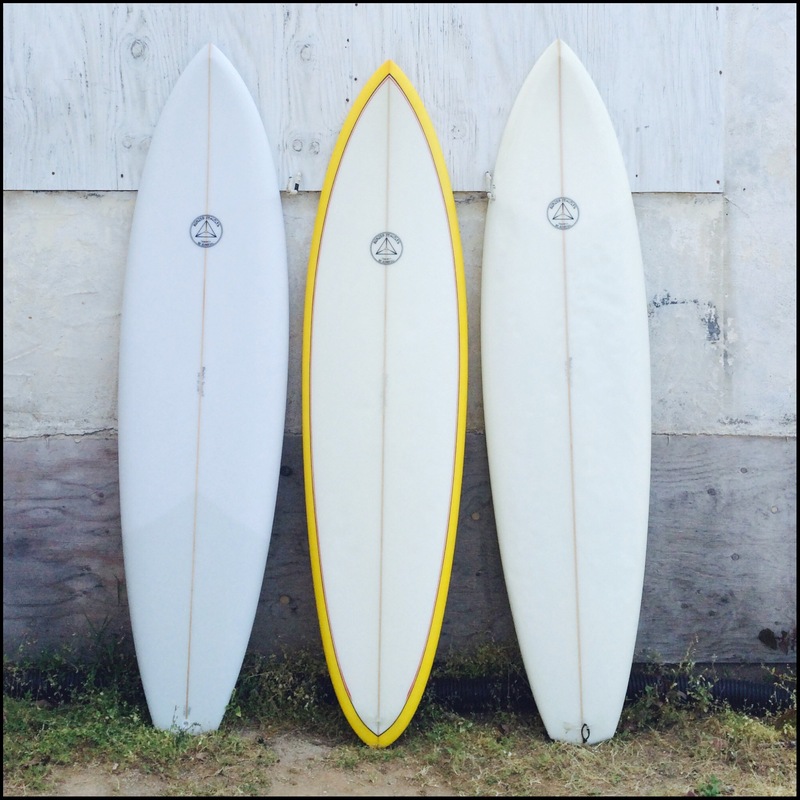 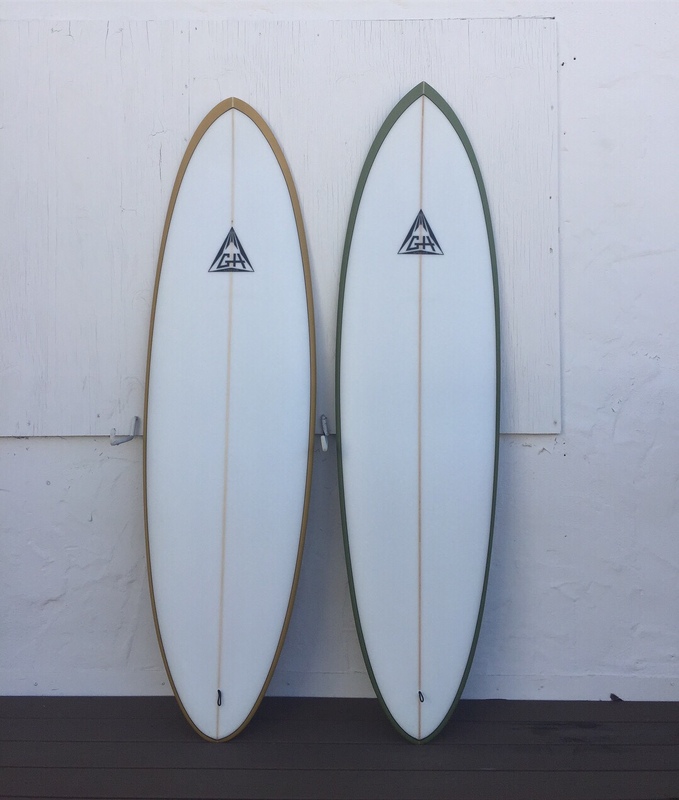 Elliot who worked with 101 Fin CO now makes glass-on bamboo fins under his label, Teleost. 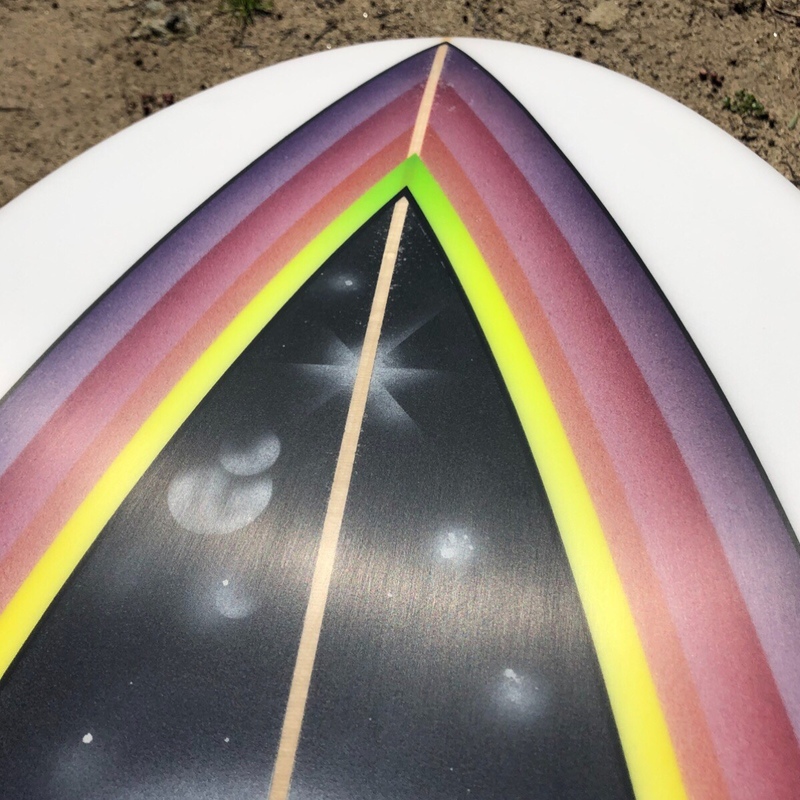 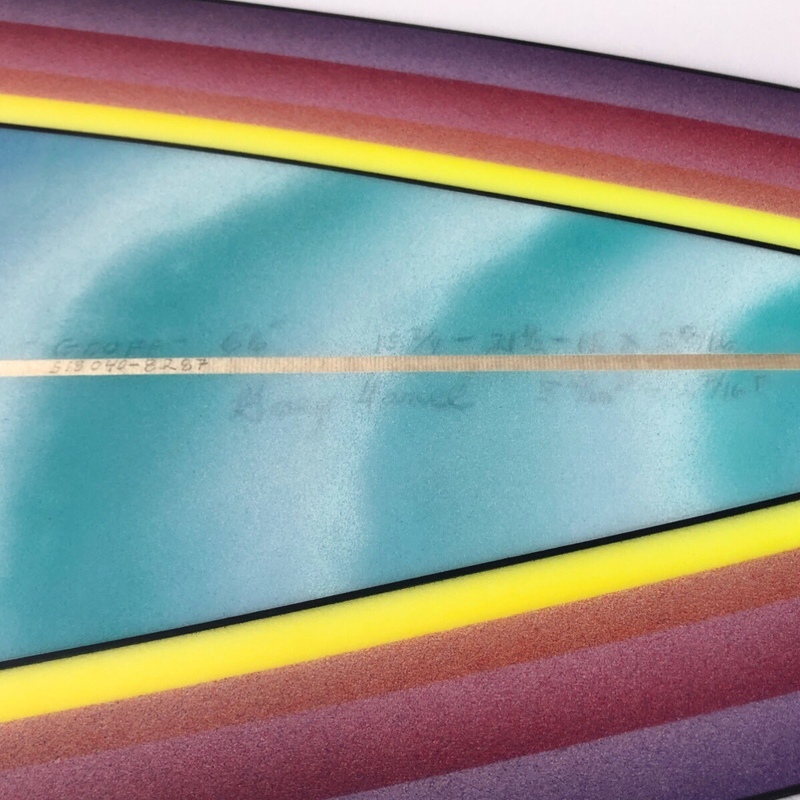 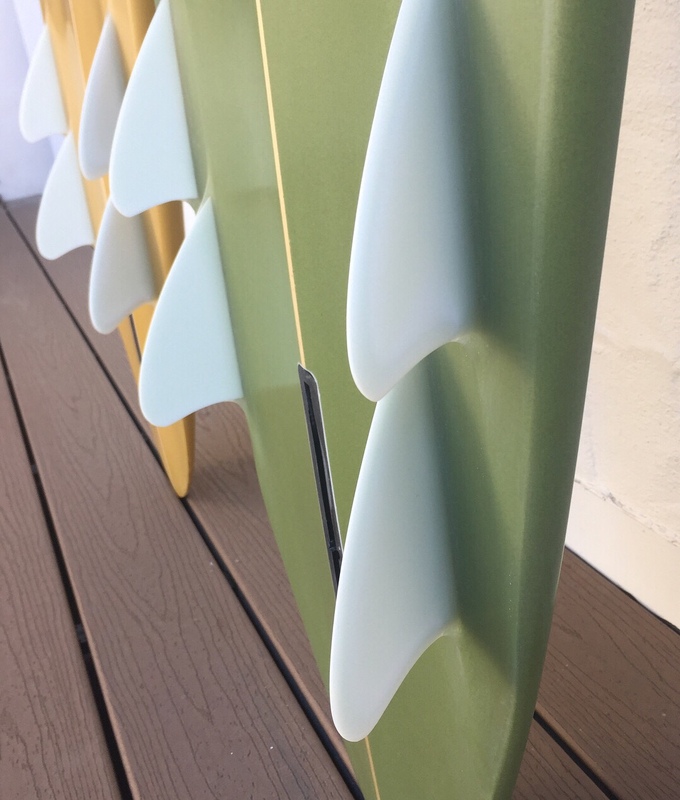 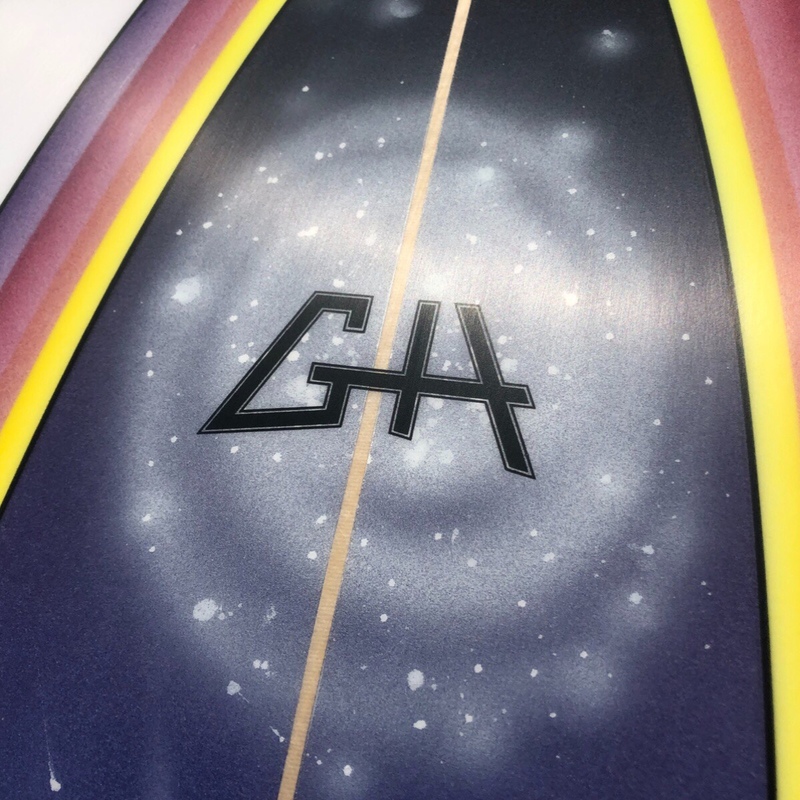 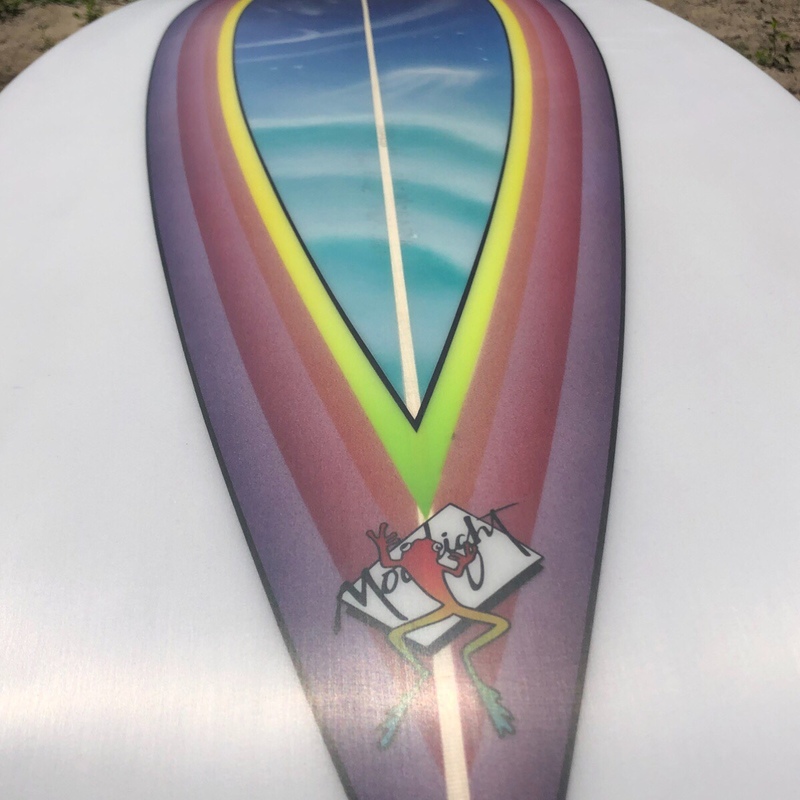 The classic 3 fin Bonzer design surfboard design is a true staple of the Surfy’verse, no working quiver is complete without one.